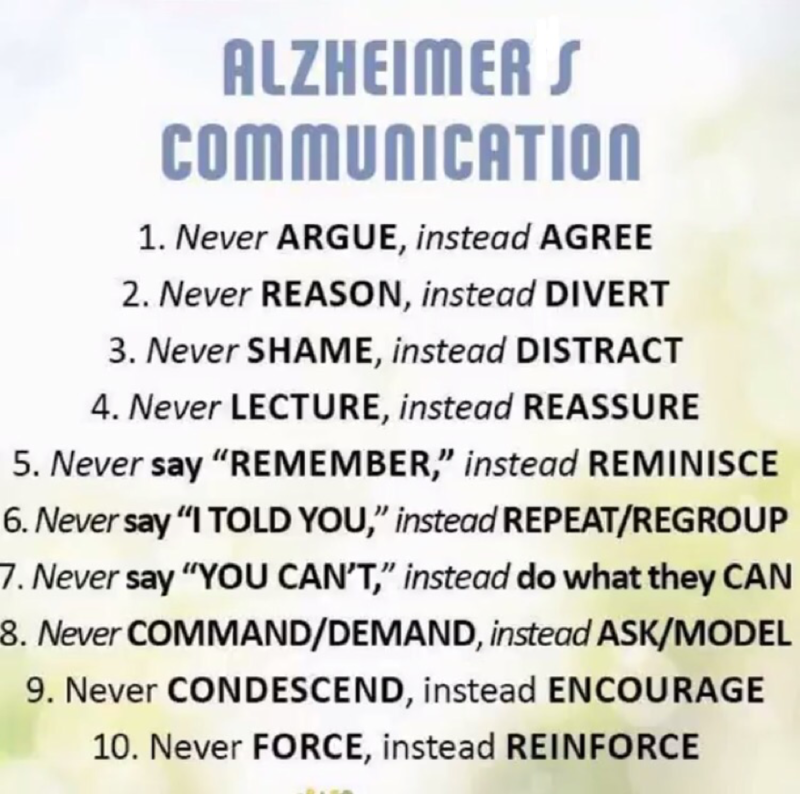 My daughter very kindly sent me this poster about Alzheimer’s communication as a reminder that it was exactly the approach we took with her beloved grandmother when she was struck down by this most awful condition. And while not trying to minimise the unique experience of dementia that is so painfully real to sufferers and carers alike – believe me, I’ve lived through it enough to know its horror – nor in trying to propose a comparison to the workplace, it did make me think about the benefits of applying a caring and kind approach to our interactions with people at work. Taking just some of the ideas in the poster, who wouldn’t want to be reassured, told they “can” rather than “can’t,” be encouraged and to have ideas and learning gently reinforced? I thought long and hard before I published this post. Having been an Alzheimer’s observer, I would only ever want to be sensitive to the condition and to those interested in it. But, isn’t it good to think we can be kinder to each other? So no apologies therefore for suggesting that perhaps there are things that we can learn from elsewhere that can be applied to the workplace.